Last weekend was the Bank Holiday weekend here in the UK – the only three days of the year when the population of most coastal Welsh towns quadruples, its sparse beaches suddenly alive with multicoloured windbreakers, sunbathers and surfers. It is also the so-called “last hurrah” before children and their parents return to the daily grind of school and work. In our area, the festivities always close with a fireworks display on the beach. To photograph them, I decided to use the Live Composite mode on our Olympus OM-D E-M1 and M.Zuiko 12-40mm f/2.8. Live Composite creates a composite image in-camera by adding new bright pixels to a base exposure. Since the camera only adds new points of light as they appear in the scene, it is less likely the image will overexpose. 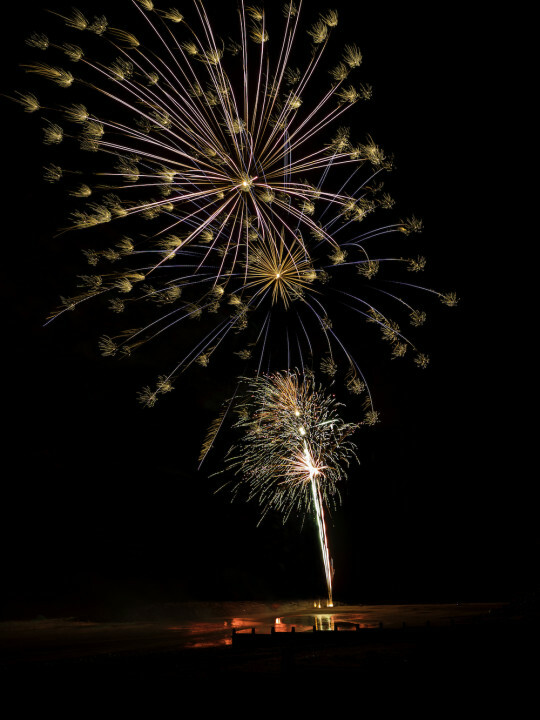 As you can imagine, it is extremely useful not just for fireworks but for any kind of night photography where the addition of light plays a critical role in the creation of the composition, such as star trails, light painting, headlight trails, or lightning. 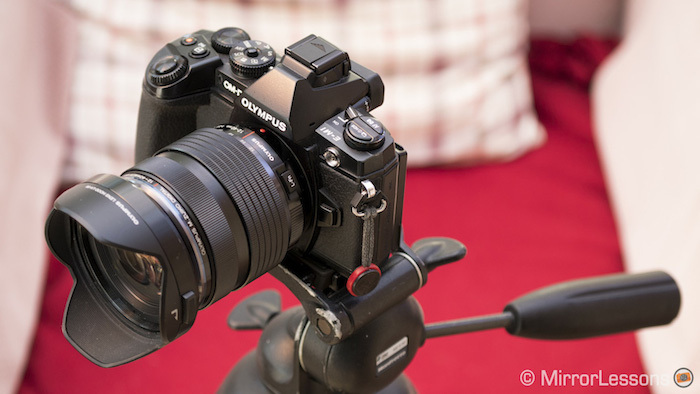 Set your camera up on a sturdy tripod and turn the shutter dial to the left until you reach “Live Comp”. It will appear in the place of the shutter speed. Choose your aperture and ISO. For the best results, try using a low ISO value and a slow aperture. 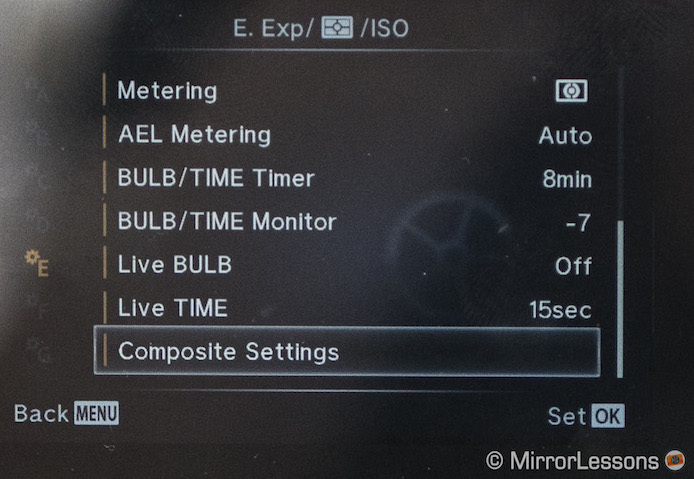 In the Custom Menu, go to Menu E and select Composite Settings. 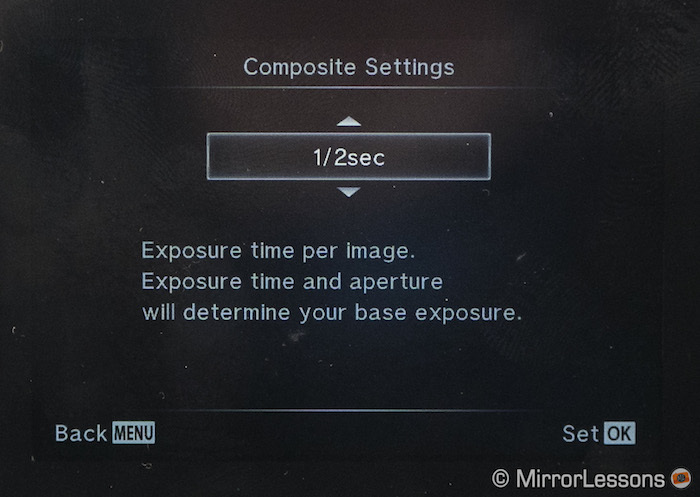 Here you can choose the exposure time per image. I generally find that 1/2 of a second is sufficient with the Live Composite mode, though you may want to experiment with longer exposures to capture more fluid trails. 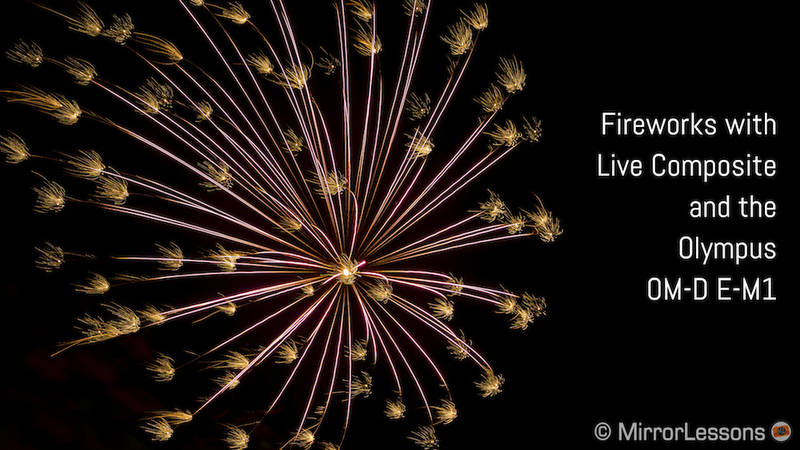 Use manual focus (MF) to select your focus point, preferably a point of light close to the firework launch point. 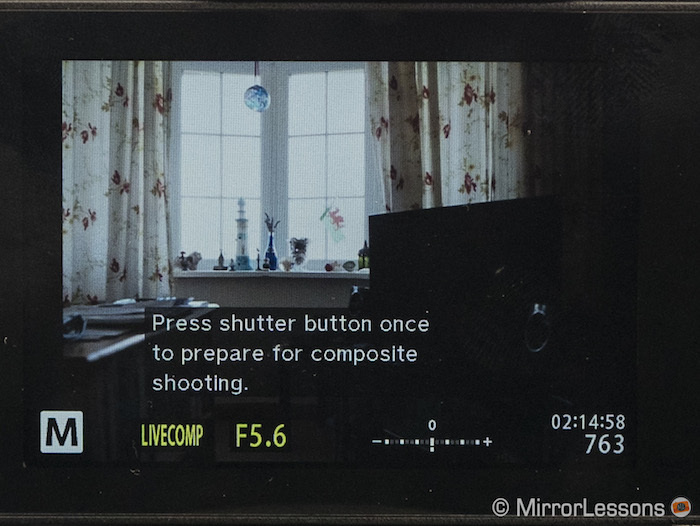 By using MF, you will be sure that your focus point won’t change during the display. 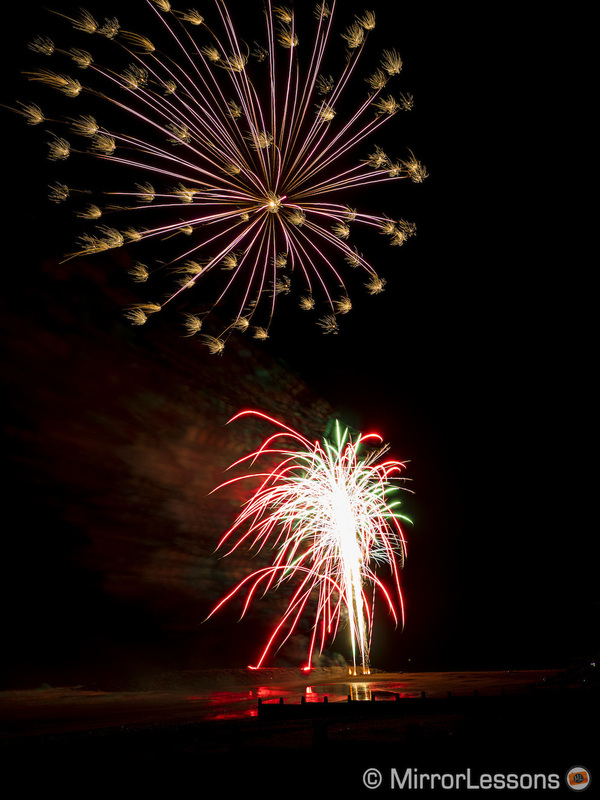 If there isn’t anything to focus on, wait until the first firework has been launched, lock onto it with autofocus, and switch back over the manual focus to lock the focus in place. Press the shutter button once to take your base exposure and press it again to start the composite. 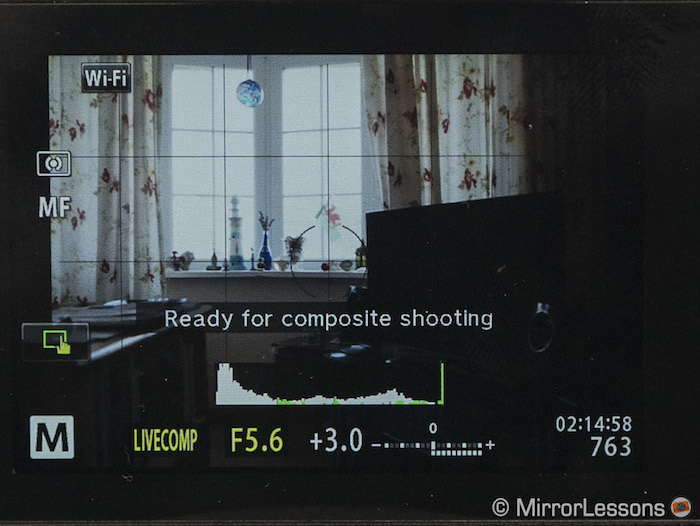 Watch the composite build on-screen. 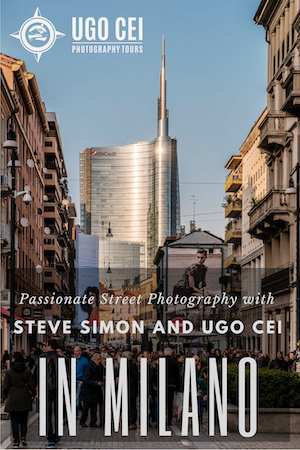 When you are satisfied with your composition, press the shutter button a third time to stop the composite. If you find that it is impossible to leave the composite running because of this issue, the next best solution is to take numerous 1-2 second composites, edit them individually in Lightroom, and merge the best ones in Photoshop later on, which is what I ended up doing. Below you can see the two shots I ended up choosing for my composite. 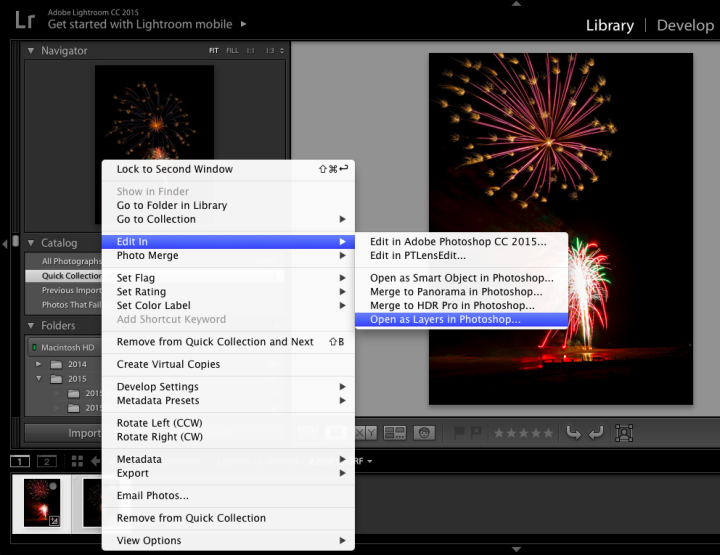 To merge your shots, select the images you want to include in Lightroom and right click on them. Within the “Edit In” submenu, select Open as Layers in Photoshop. 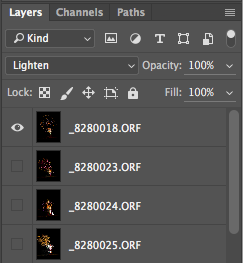 Once Photoshop opens, make sure that each layer is set to “Lighten” instead of “Normal”. Doing so will allow you to see how the shots look when they are combined. If you are working with multiple shots, you can also choose to hide certain layers to find the best combination of firework bursts. In the case of this particular composite, I wanted to erase of the overexposed burst in Composite #2 since it was obscuring the well-defined burst in Composite #1. The result is a clean set of three bursts at different heights with a nicely illuminated foreground. 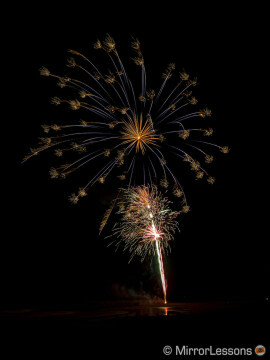 Have you ever used Live Composite on your Olympus camera to photograph fireworks? If so, share your image with us in the comment section below!